A guitar course that’s designed to make learning easy for young students and still using contemporary music. The Ultimate Guitar Method follows a logical progression of learning that starts at the most basic level possible and gradually develops the skills required to become a proficient guitarist. Kids are often taught nursery rhymes, but our junior guitar curriculum teaches real music by real artists like Katy Perry, Ed Sheeran, Taylor Swift, AC/DC, Metallica and Bruno Mars. Having fun is essential for young beginners, which is why we offer for students to learn music from Star Wars, Avengers, Jurassic Park, Harry Potter, Minecraft, Fortnite and much more. Designed for students aged three to thirteen, Steps A, B, C and D make up The Ultimate Guitar Method Junior Course. Student learn how to play chords, shred riffs, read music and understand theory. More importantly, our structure of songs helps students learn their other concepts like riffs and chord shapes. 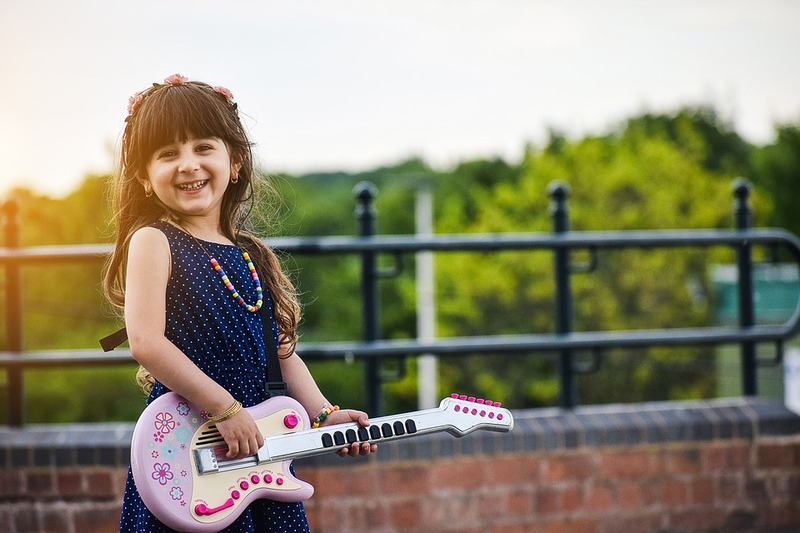 We send home progress reports and video/audio recordings to keep parents informed of what their child has been learning, their improvements and how they’re progressing through The Ultimate Guitar Method. Students who complete grades receive a Step Certificate and Pick to reward them for their efforts and encourage them to keep on improving their skills. Our guitar curriculum is flexible enough to be taught to classes of up to eight students. Group students receive a discounted rate, with an additional discount for students who are siblings. Start Your Child's Guitar Journey Today! Simply complete the online enrolment form and we will contact you to book your child’s first lesson!